Posted on March 28, 2015 by Tom Richardson Posted in Cell phone & Computer Monitoring Reviews . Mobile Spy Monitoring App is another great software to track and spy on your target device. Mobile Spy is available in 6 different languages.This monitoring software makes it possible to track GPS locations, to spy on text messages, photos, and social media activity. Furthermore you can easily view all the call details and read different Instant Messages. Also you can check the Live Demo before the installation. The special feature of Mobile Spy Monitoring Software is that the app has a visible icon on the target device and notifies the monitored person. If you want to purchase Mobile Spy monitoring software, you should be aware that their support team is active 24/7 via Live Chat. So you can put all your questions regarding spying right over there. Moreover, Mobile Spy team can assist you via email, but it may take around 8 hours to reply to your letter. Mobile Spy is on the third place of our rating due to its price, which is not so expensive for all the provided functions. Thus, its basic subscription costs around 49.97$ for 3 months, while Premium is around 64.97$ for the same amount of time. 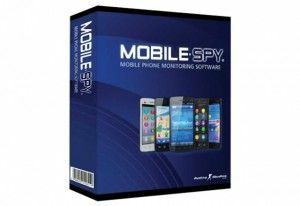 Mobile Spy tracking software supports all main smartphone and tablet operating systems: Android, IOS and Blackberry. Mobile Spy gives refund in case the software is proven defective and they can not resolve the issue.